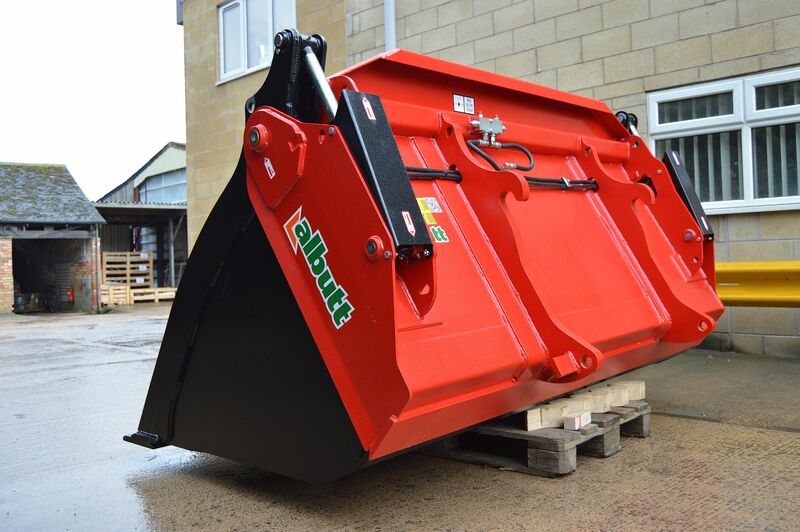 The Albutt high capacity Clam Shell Bucket is designed for the bulk handling of such materials as grain, woodchip, and manure. 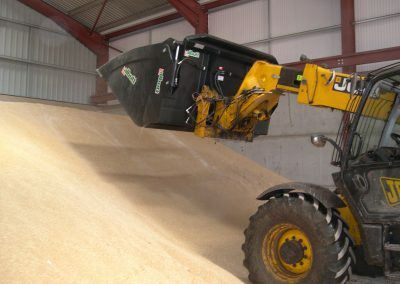 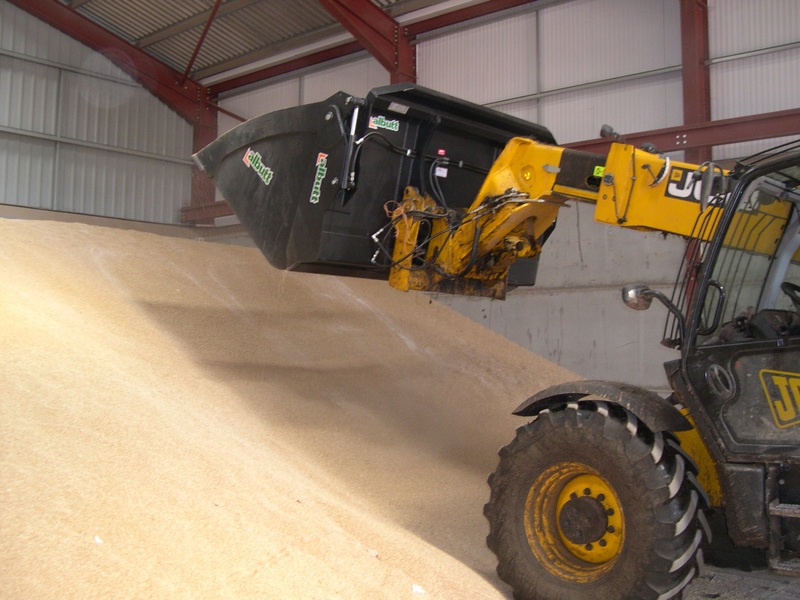 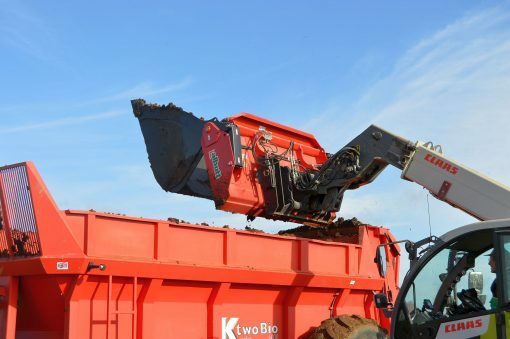 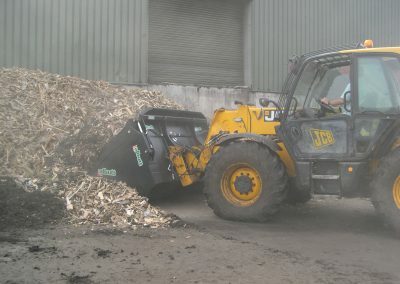 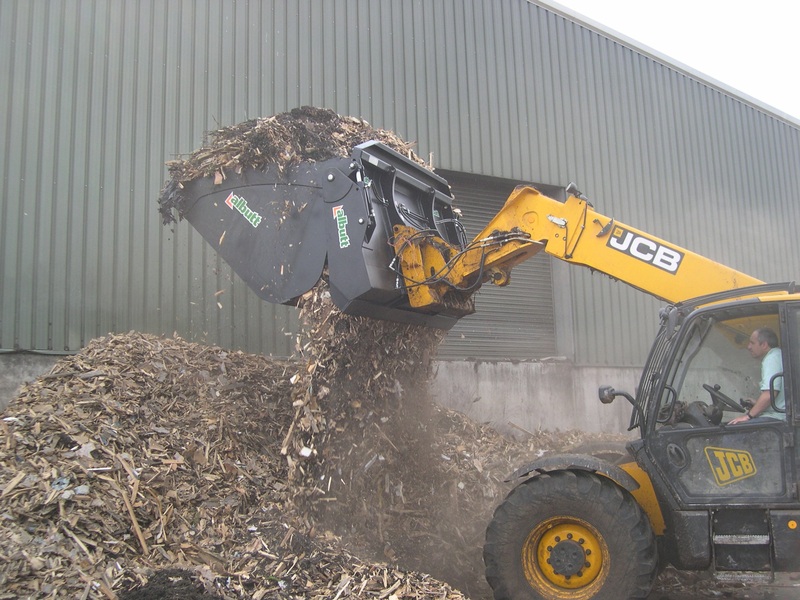 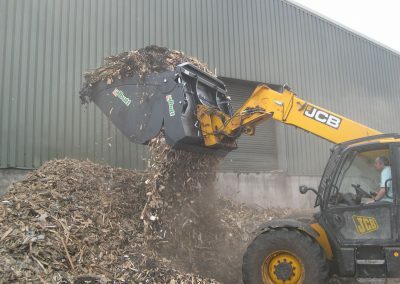 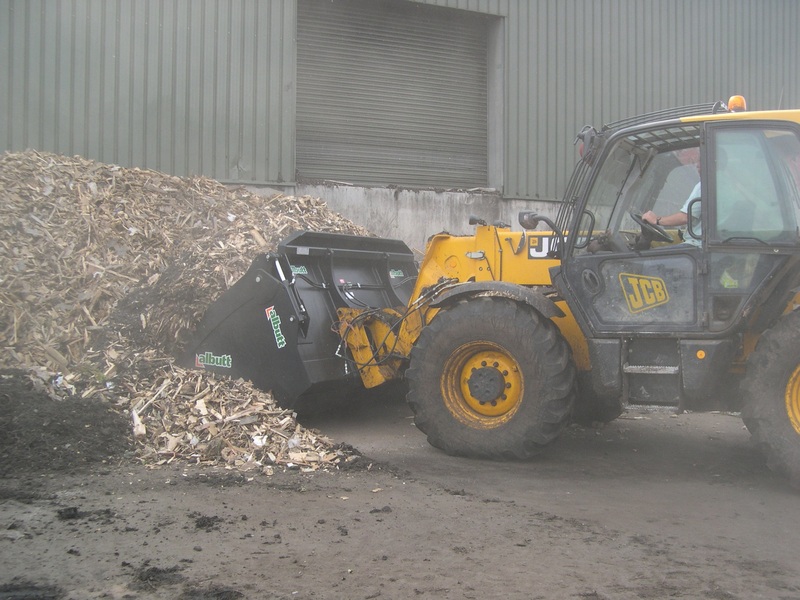 As the floor opens to release material, it means larger volumes can be moved as the load centres are kept closer compared to conventional high tip buckets. 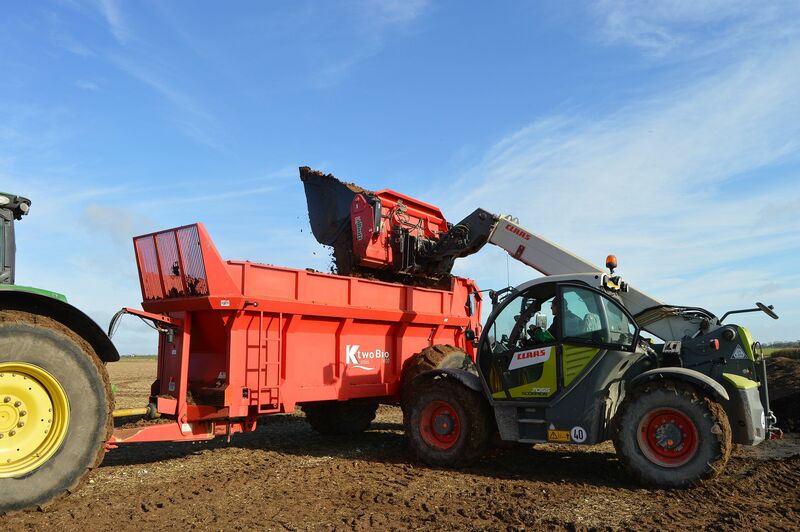 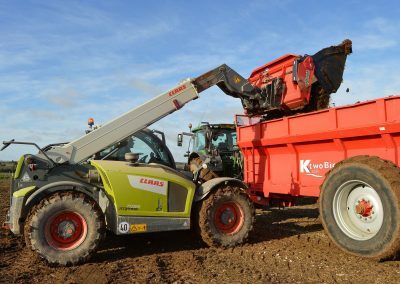 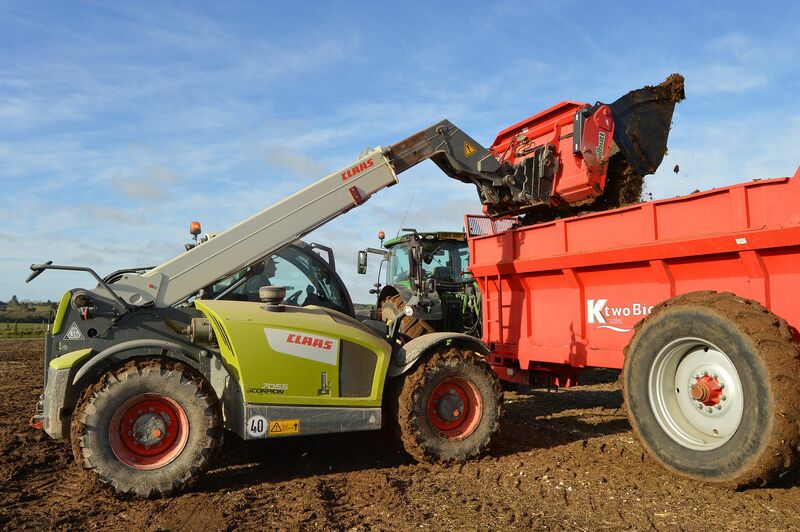 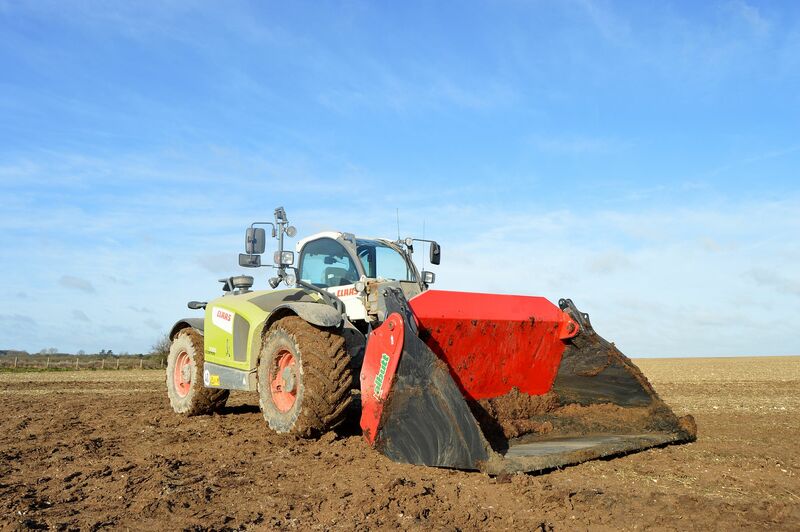 There are further benefits over traditional high tip buckets when moving manure as the rams are set vertical, up and away from being pressed into the material; a traditional problem with twin ram high tips. 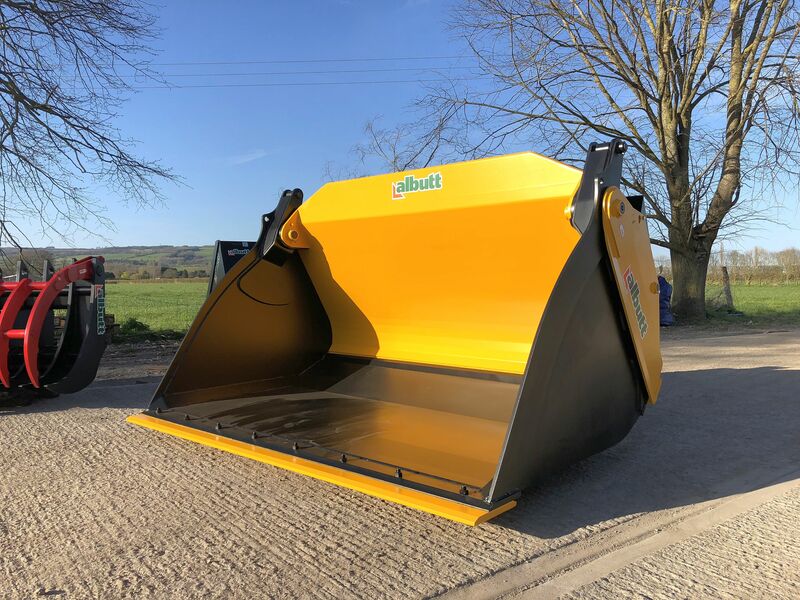 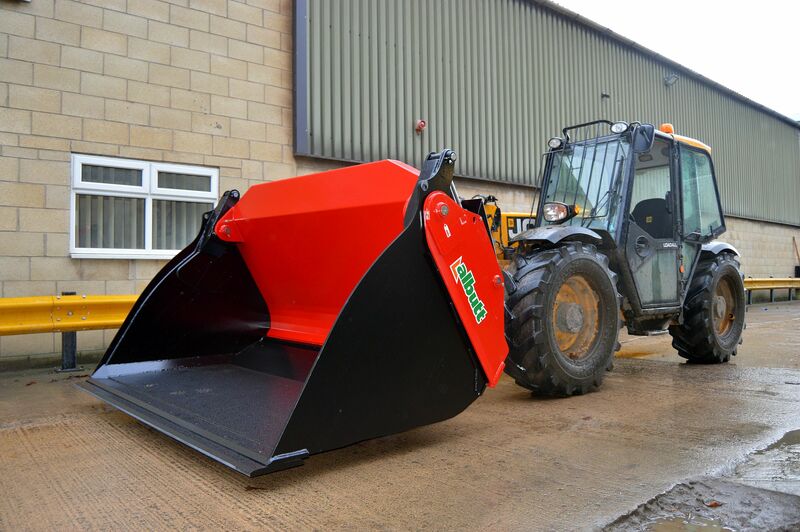 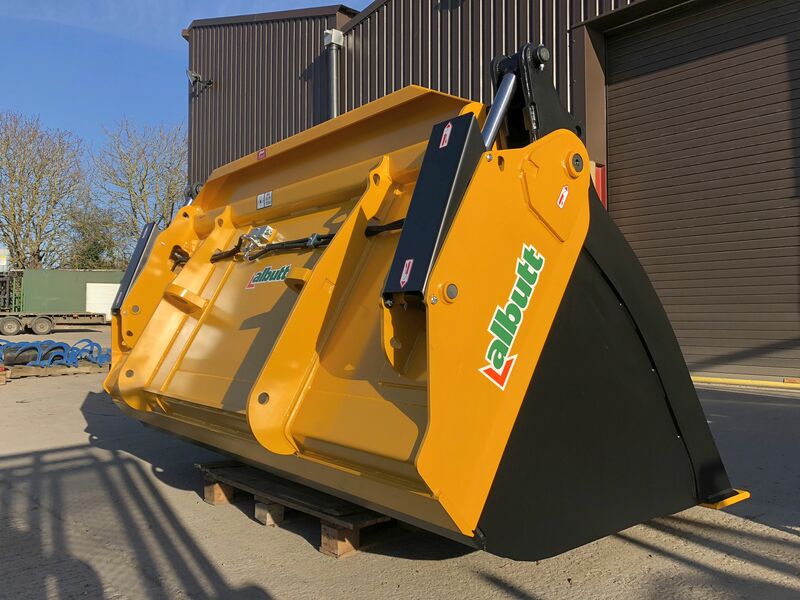 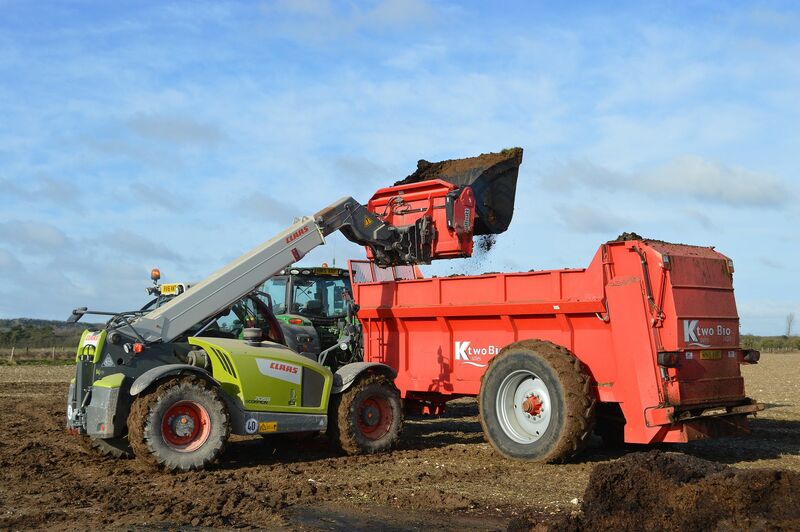 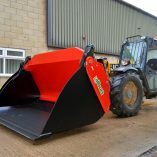 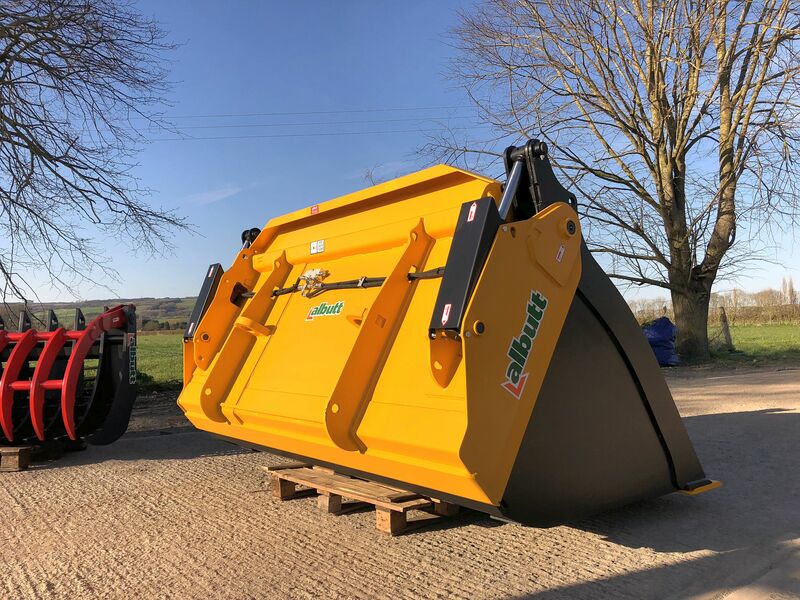 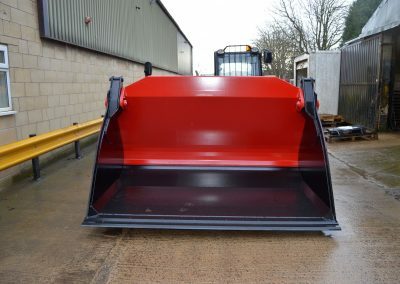 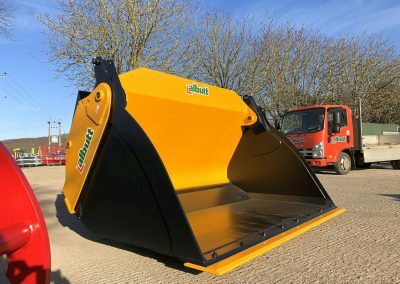 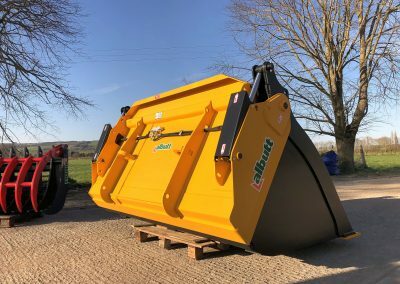 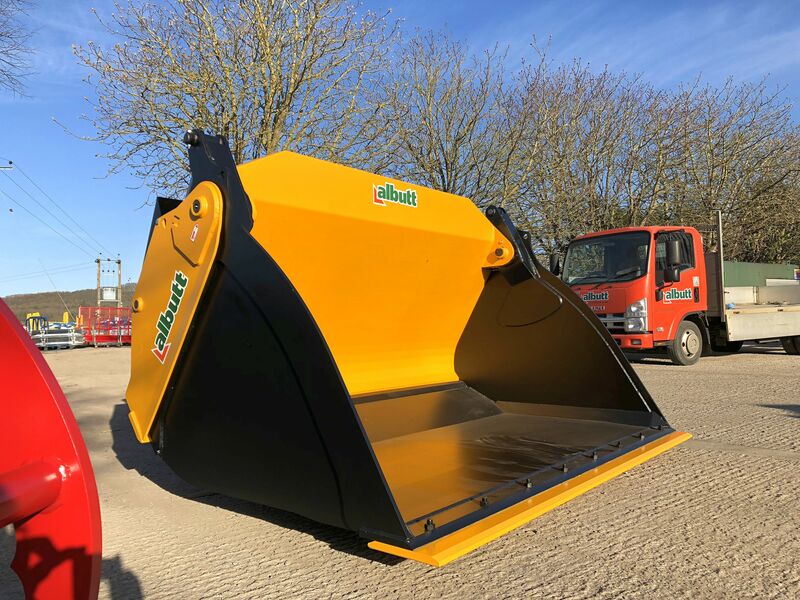 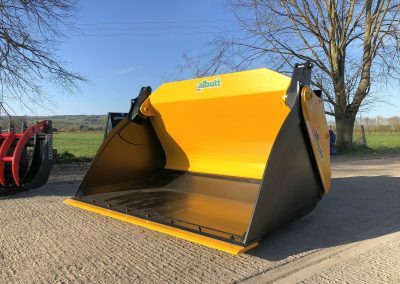 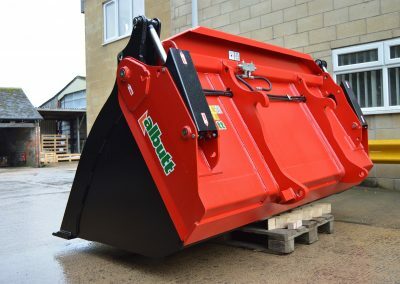 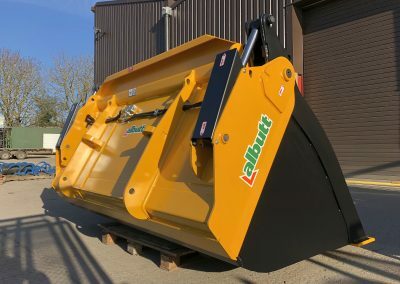 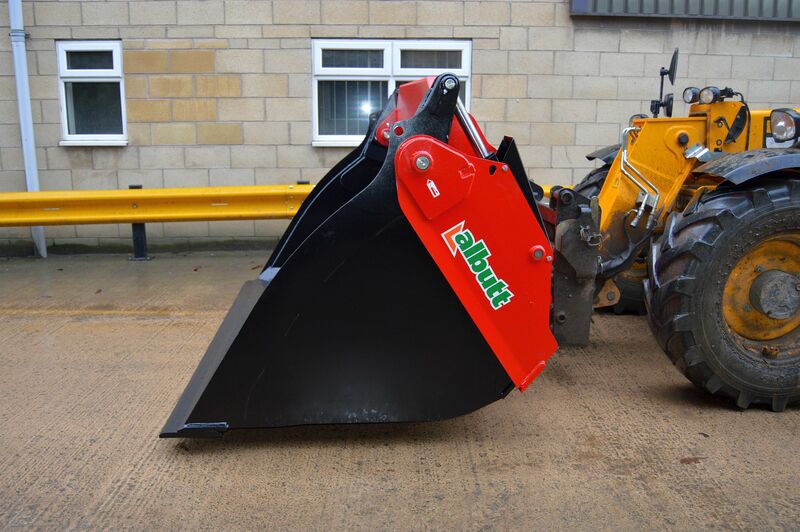 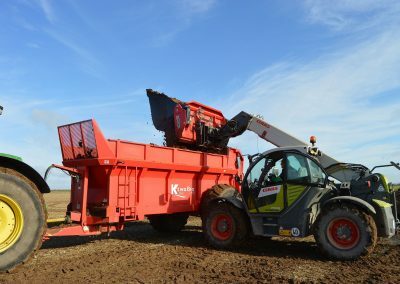 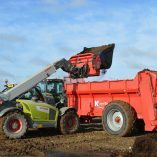 The Bucket utilises high tensile steels in its design (Hardox and Strenx) and features high capacity hydraulic cylinders for a positive bucket opening. 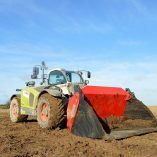 Rams are covered for spill protection. 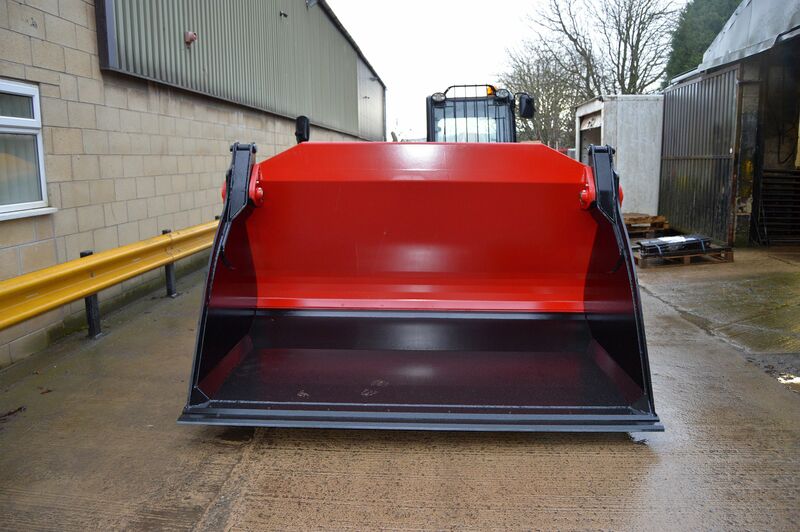 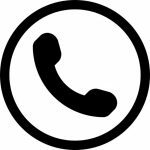 All models feature a boron 500 leading edge as standard.